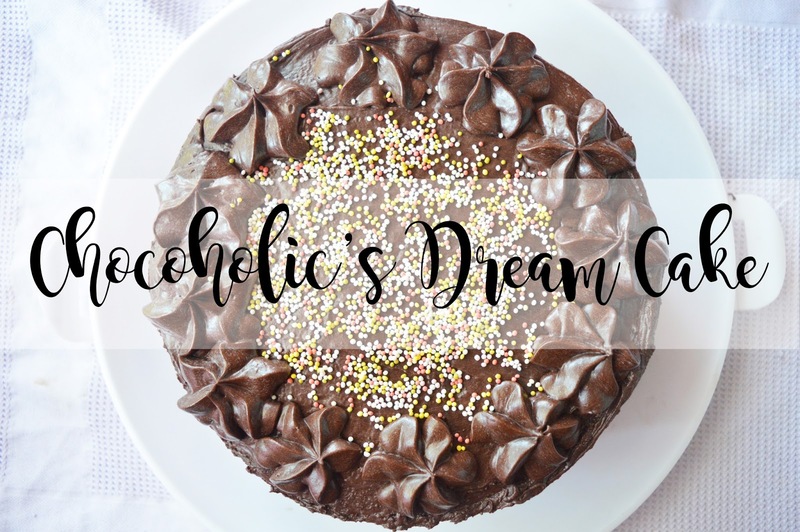 Today I am going to be finally showing you the ins and outs of my Chocoholic's dream cake. I absolutely loved this cake and it's definitely one of my proudest bakes so far. I spent a good 3 hours preparing this cake, cooking it and then icing it to perfection, as I wouldn't stop until I was 100% happy with it. I will have to admit, I did get very frustrated while icing this cake as I decided to make it as our mini heat wave began here in the UK. However, the good old fridge definitely made it so much easier to handle! If I could eat a cake for the rest of my life, I strongly believe it would be this one! It was just so delicious and fixed all of my chocolate cravings in one hit! So, let's get too it! Heat your oven to 180 degrees celcius & grease two baking pans. To be honest, I use whatever size I fancy! In a large bowl, combine all the dry ingredients and ensure they are mixed together well. Add eggs, buttermilk, coffee, oil, and vanilla. Mix all of these together until smooth! The mixture will be runny. 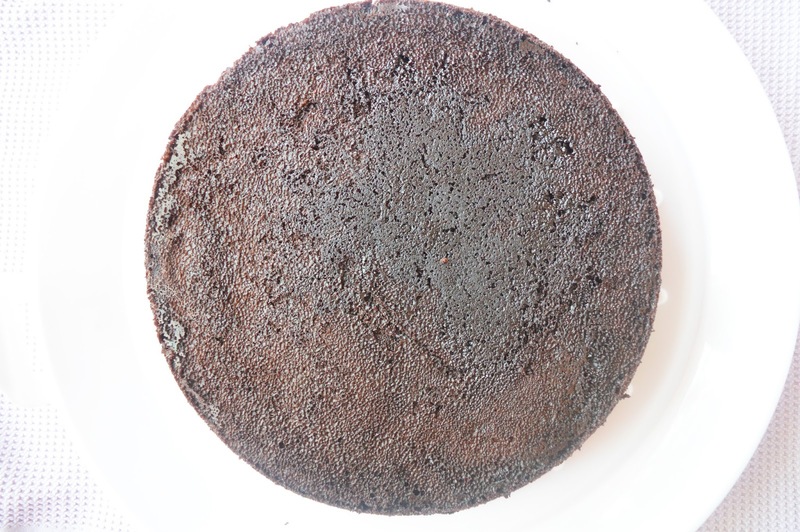 Baked in the oven for 40 minutes or until a skewer comes out clean when inserted into the middle of the cake. Cool for ten minutes, then move to a cooling rack; leave to cool completely. Melt the butter and stir the cocoa into this. Don't forget to add the Vanilla extract! Alternatively add the icing sugar and milk, mixing until it forms a thick spreading consistency. One thing that is absolutely incredible about this cake is how non-sickly it is. I have tried so so many chocolate cakes in my life and it's safe to say, there have been some which after one mouthful are so sickly because of how intense the chocolate is. However, because this uses cocoa powder instead of +70% chocolate, this really isn't sickly at all but it still gives the intense chocolate taste. 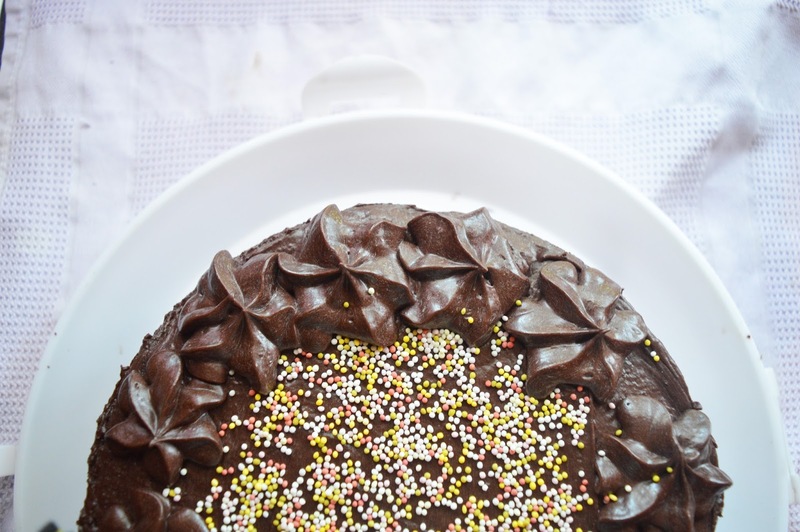 This cake is also so easy to make, anyone can do it! Even beginners, just wack it all in a bowl and mix. Simple enough! I created the decoration on top using the Wilton 2D piping bag tip. You can create so many different icing decorations using this piping tip and it's definitely my favourite out of all the ones which are on the market! I simply pushed down until my desired size decoration had been created, and then I lifted up to release the icing. Simple! I absolutely love hundreds and thousands and thought these would bring a pop of colour to my cake! I also thought this made it look that little bit more professional; the sort of cake you would find in a shop! I could have easily gone overboard with these and sprinkled them all round the outside of the cake too! But I feel like that's just a little bit over the top, don't you think? I was very happy with the outcome of the cake and how wonderful it turned out after 3 hours work and a lot of frustration! I feel like I could have played frustration and I would have still been more frustrated over this cake. 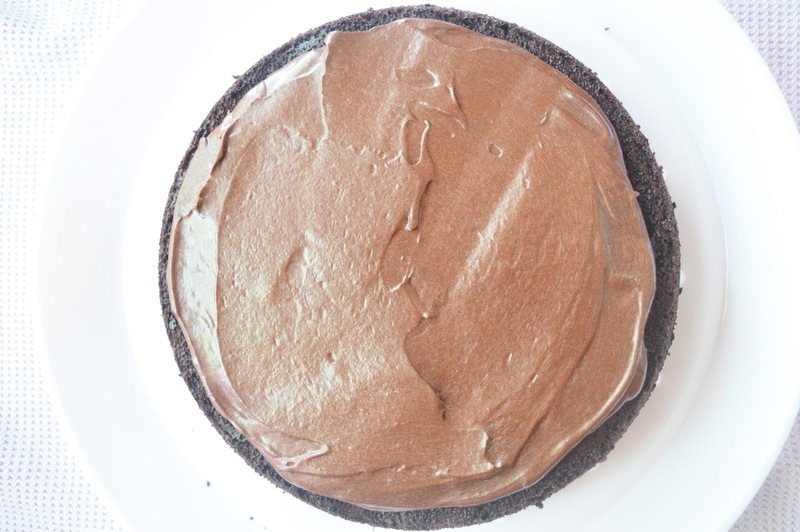 If you love chocolate, and cake. 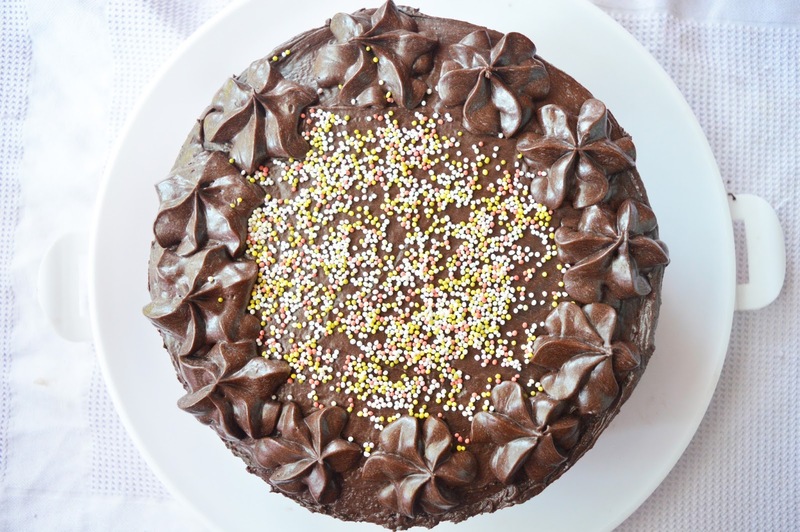 I really think this chocolate cake would be the one for you! Enough chocolate for any chocoholic to enjoy, but not at all sickly! You could easily eat a massive slice without wanting to be sick! So why not try it? If you make this cake, send me some pictures through instagram or twitter! My links are in my social media bars, at the top and bottom of my blog, as well as on my sidebar! 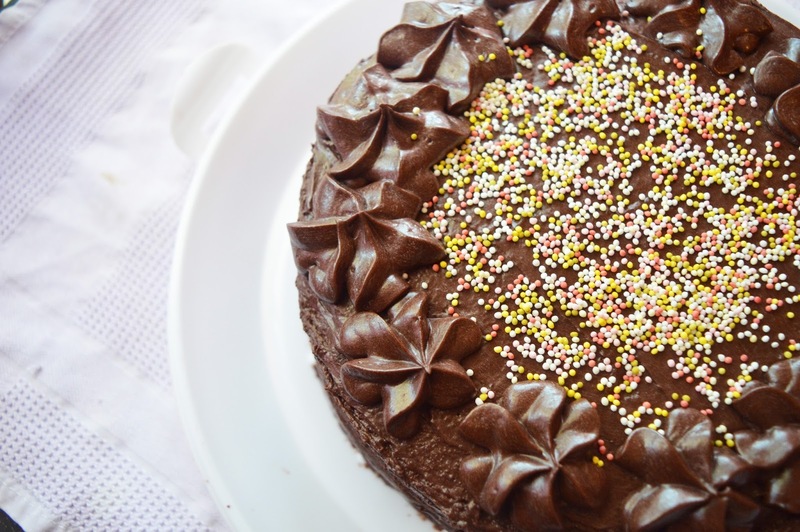 If you had to pick any cake to eat for the rest of your life, what cake would it be and why? Make sure to follow me on Bloglovin! Thank you for reading and I'll see you very soon. Okay I am a huge fan of baking and I love making things like this so I am so excited to try this one. I have pinned this so that I can find it easily. Thank you so much! this looks incredible! Omg that LOOKS amazing! Definitely a chocoholics dream, yum! and i would pick chocolate cake or brownies. i am a chocoholic. Yummy! It looks delicious! I ain't a great baker but the best cake I've ever made was carrot cake. It was part of my GCSE Food Tech exam, so it was ages ago!